I return! And with tons of photos! 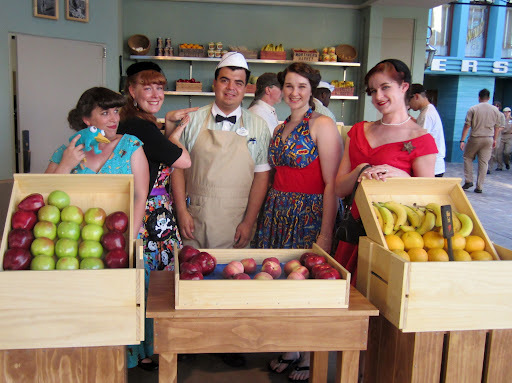 Just this last Friday I participated in Dapper Days at Disneyland. 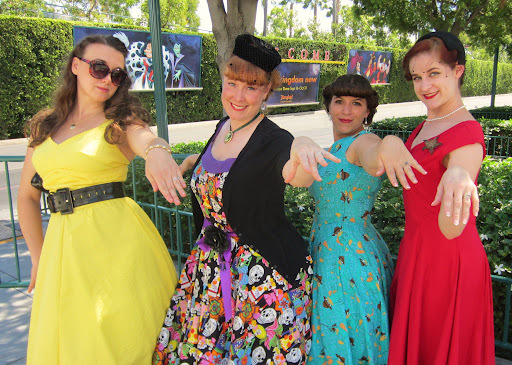 Its a fantastic event where everyone comes dressed in either their vintage finest or just in something fashionable to come play in the park for an evening. And even though my feet are killing me for wearing impractical shoes, I still had a fantastic time! So prepare yourself! 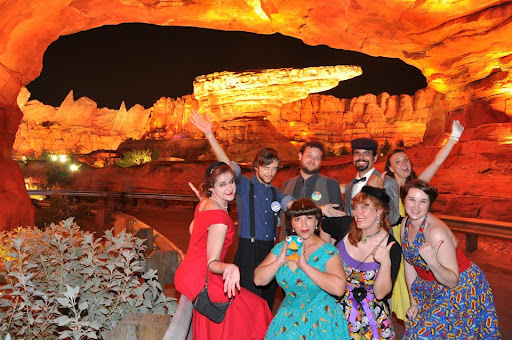 We took a TON of photos of us looking ridiculously dapper, that day! Lets start the show! I hauled out my Dio de Los Muertos dress for the occasion and switched out my witch’s hat for a vintage pill box hat that used to belong to my grandma. 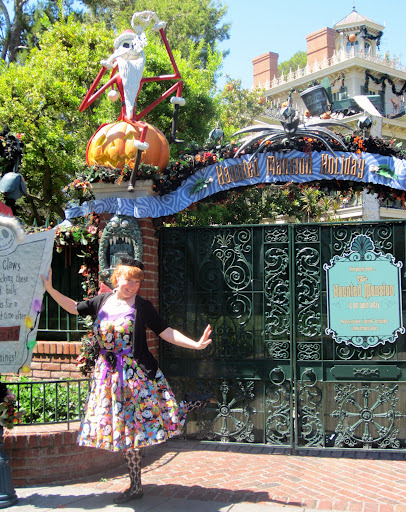 I just told everyone I was dressing as the Haunted Mansion. Unfortunately my favorite ride was closed as the refurbish it for the holidays, but at least I got to stand in front of it for a quick pic! 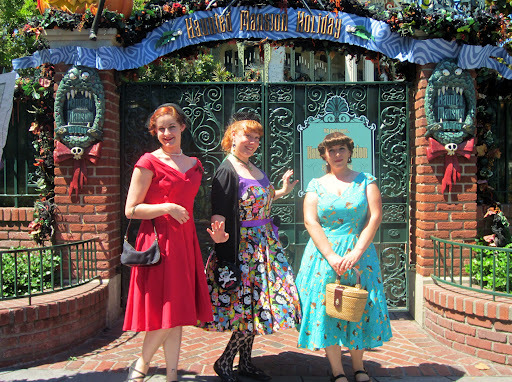 Two of my elegant lady friends, Ana and Sara posing with me in front of the Mansion. Yes, Sara is wearing a Perry the Platypus dress. It was fantastic! Jackie, Alison, and Miguel joined us a bit later on. 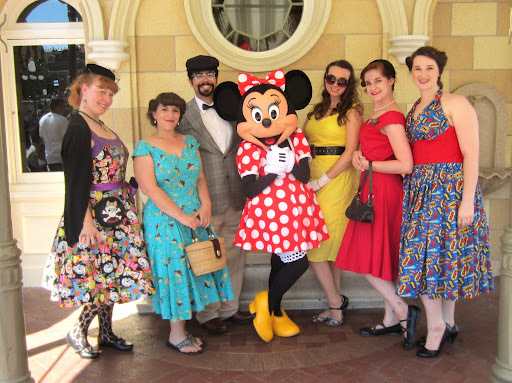 Here’s Minnie Mouse looking dapper with all of us. 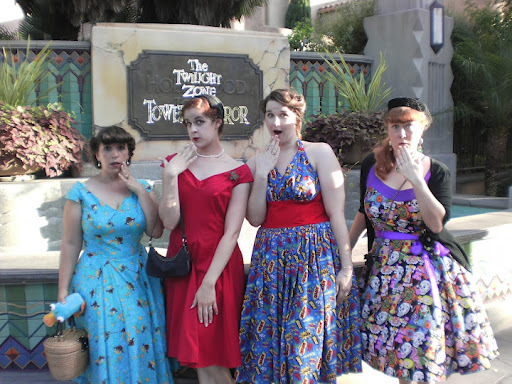 The Tower of Terror? EEK! So Scaaaary! …Okay no, not really but the photo is pretty dang cute. 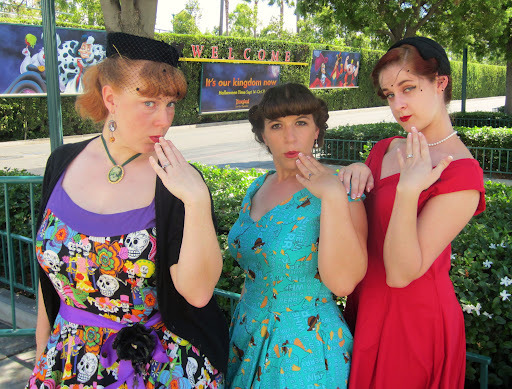 And another pic of us doing the saucy face as we waited for the tram to the park. This cast member was a great sport. 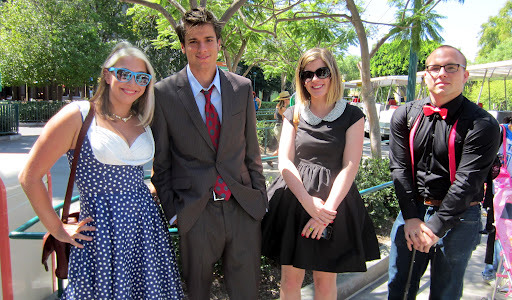 We kinda dragged him into this photo with us over at California Adventure. By the way, the new remodel of DCA is quite amazing! I can’t wait to go back and play some more there! 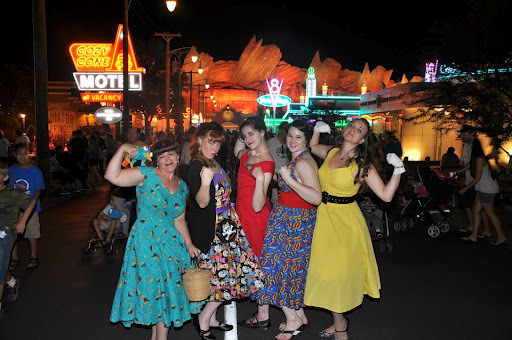 CARS LAND! I’m not a huge fan of Cars but the new Cars Land in DCA is really amazing. And here are a few other Dappers I managed to snap some photos of. 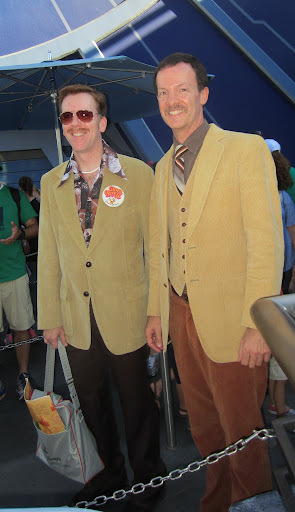 The first group of Dappers we ran into, just as we got off the tram. They were adorable! 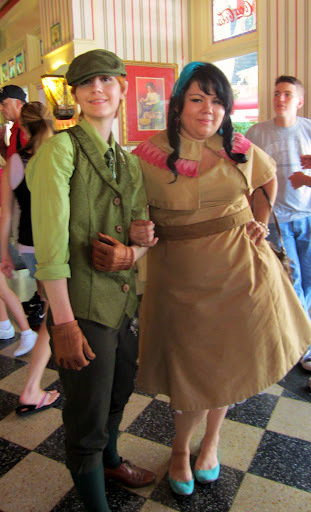 Dapper Peter Pan and Dapper Tiger Lilly. I absolutely adore how they looked! And these two gentlemen where my favorites of the night. Full out 1970’s chic, INCLUDING a vintage grad night button, a vintage shoulder bag, and paper bag from Disneyland circa 1976. Got to love men with an eye for authenticity. ← San Diego Comic Con! Annabelle and Archer!